A used spoiler relay for Boxster 986. 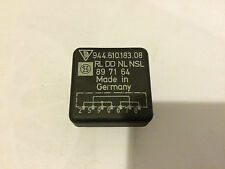 Porsche 944 Engine Fuse Board Relay. Removed From A 1989 Year 944. Porsche Part Number :944 610 183 08. EAWML No. 54392. Steve Strange. Expert advice and services available upon enquiry. Part Number: 99661510300. Removed from: Boxster 986. Expert advice and services available upon enquiry. Porsche 911 3.2L (1984-1989) (6 Pin connector). Genuine Porsche Parts 1965-74. This item is a Genuine Porsche Part and is in good used condition. A used fuel pump relay for Boxster 986. Genuine Porsche Cayenne relay plate new in bag, part number 955 610 109 00. We have hundreds of other Porsche Parts in stock too. Part Number : Porsche 111953227D. To Fit : Porsche 924 924S 944. 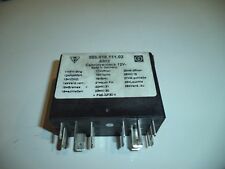 Here we have an indicator flasher relay. Fits Porsche: 911, 924-S, 928, 944-S2, 959. Porsche Part Number:911.618.231.00. Made for Porsche by Hella. Part Number : Porsche 431951253D. To Fit : Porsche 924 924S 944. Here we have a sunroof relay. PORSCHE 924 SUNROOF & RADIO RELAY. 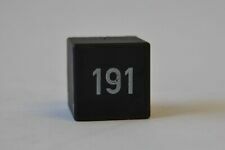 Porsche 986 Boxster / Porsche 996 Carrera Front Windscreen Wiper Relay. Wiper Interval Relay. Porsche Boxster 986 S Fuel Pump Relay - 996.615.101.00. This is a used item that is being sold in good working order. Used Relay Removed From A 2002 Year 986. Porsche Part Number -996.615.102.00. Steve Strange. 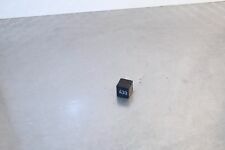 A used air con relay for 964 993 968 986 987 996 997. Donor Vehicle:Porsche Cayenne. The Porsche Parts Specialist. © 2017 Status Group ltd. Bowesfield Crescent. Status House. A used relay for Boxster 986 intermittent wipers. Porsche Boxster 986 Wiper Intermittent Relay - 98661510300. Condition is Used. Dispatched with Other Courier (3 to 5 days). Part Number : Porsche 94461510300. To Fit : Porsche 924 924S 944. Here we have a sunroof and radio relay. 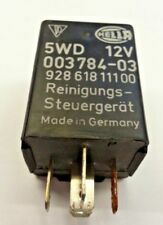 Genuine Porsche 944 Air Con Conditioning Relay - 1985 to 1991 94461511500. PORSCHE BOXSTER 986 & PORSCHE 996. BOXSTER 986 & PORSCHE 996. VARIABLE WIPER RELAY. YOU TURN THE KNOB ON THE DASH TO SLOW DOWN OR SPEED UP THE WIPERS. Used 986 Fuel Pump Relay Removed From A 2002 Year 986. Porsche Boxster 986 S Fuel Pump Relay. Porsche Part Number -996.615.101.00. Steve Strange. Donor Vehicle:Porsche 944. The Porsche Parts Specialist. We export parts daily and can handle all aspects of freight. Status House. © 2017 Status Group ltd. Donor Vehicle Colour:Bodywork is Silver, Interior trim is Blue with Pin Stripe trim. Porsche 944 Turbo. Turbo Cooling Pump Relay. Genuine Porsche Part. Ready to Plug & Play. Collection can be made from Guildford, Surrey. PORSCHE 944 / 968 ALARM / CENTRAL LOCKING SWITCH. Porsche Part Number. Steve Strange.